Play as a newspaper journalist and investigate the small town of Tundel where a UFO is rumored to have landed. The local mayor seems to be trying to cover up the event and it's your job to track him down and learn the truth. The way to the mayor will challenge your courage, selflessness and wit. Overcome all the incredible obstacles, find the mayor and become a hero in this charming adventure game! 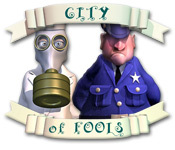 Warning – City of Fools contains adult themes and is intended for mature audiences. 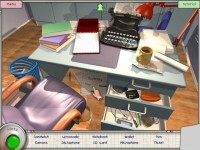 Tell someone about City of Fools Game!